Be The First to Review the Ultimate 10K & 5K! The Ultimate 10K & 5K is a Running race in Memphis, Tennessee consisting of a 10K, 5K. 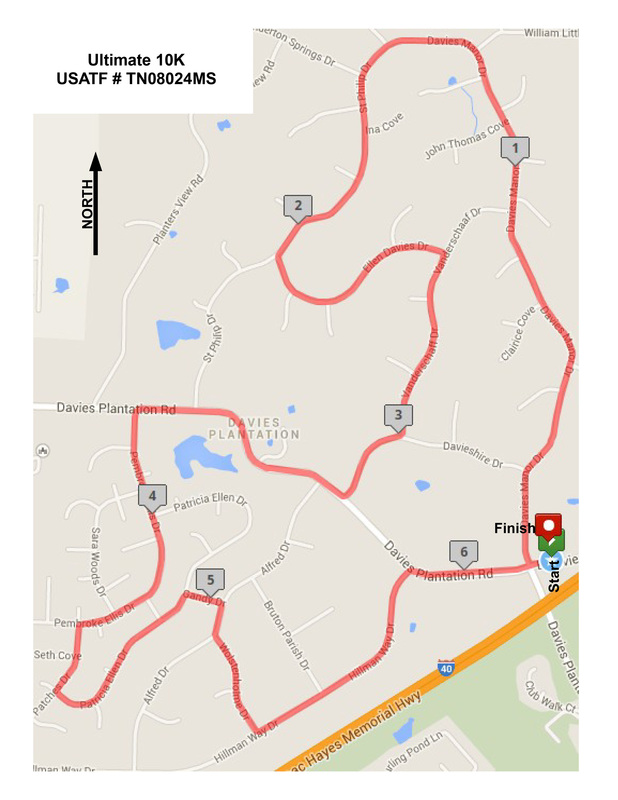 The Ultimate 10K race begins at the corner of Davies Plantation Road and Davies Manor Drive, tours through the gentle rolling hills of the Davies Plantation subdivision in Memphis, Tennessee and finishes at St. Philip Church at the corner of Davies Plantation Road and Davies Manor Drive. ultimate10k.racesonline.com	View Course Map	Incorrect Race Info/Update Race Details?